Or maybe not? The California Highway Patrol, who routinely recommends that we pay them oodles of cash just for going about our daily business, is recommending that Brandy be charged with the misdemeanor offense of vehicular manslaughter. If convicted should could face a year in jail and a laughable (cause she's so rich) $1,000 fine. In researching this post, we noticed that she (somehow) won a Grammy and was a judge on the show America's Got Talent. 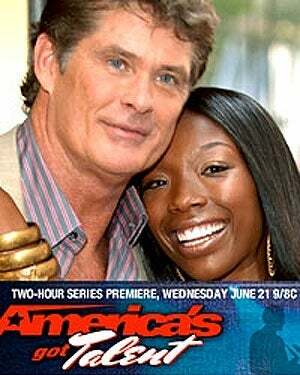 So, maybe if the manslaughter charge don't stick they could nail her for applauding the train wreck that is the Hoff . Seriously, I once saw eight minutes of Got Talent. She owes the state.